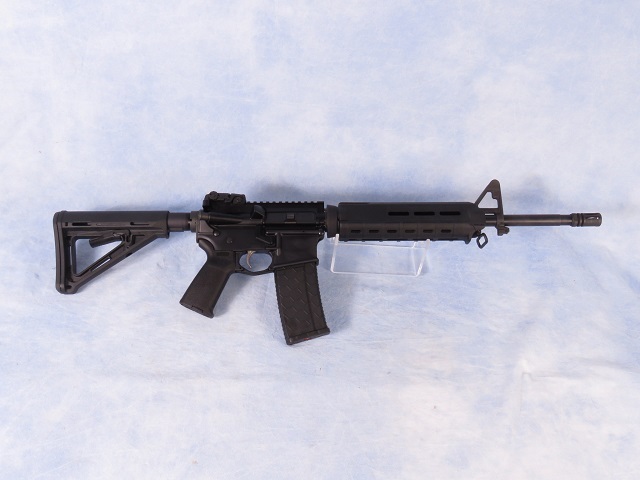 Anderson AM-15 semi-auto AR-15 rifle chambered in .223 / 5.56. This rifle was built by a customer and features a Palmetto state upper with a 16" barrel. The furniture is Magpul with collapsing stock. This rifle has around 1 box of ammo through, and we have test fired and cleaned it. An ARMagLock is installed.